Students posed with the Catalyst Week participants after they completed their workshop. 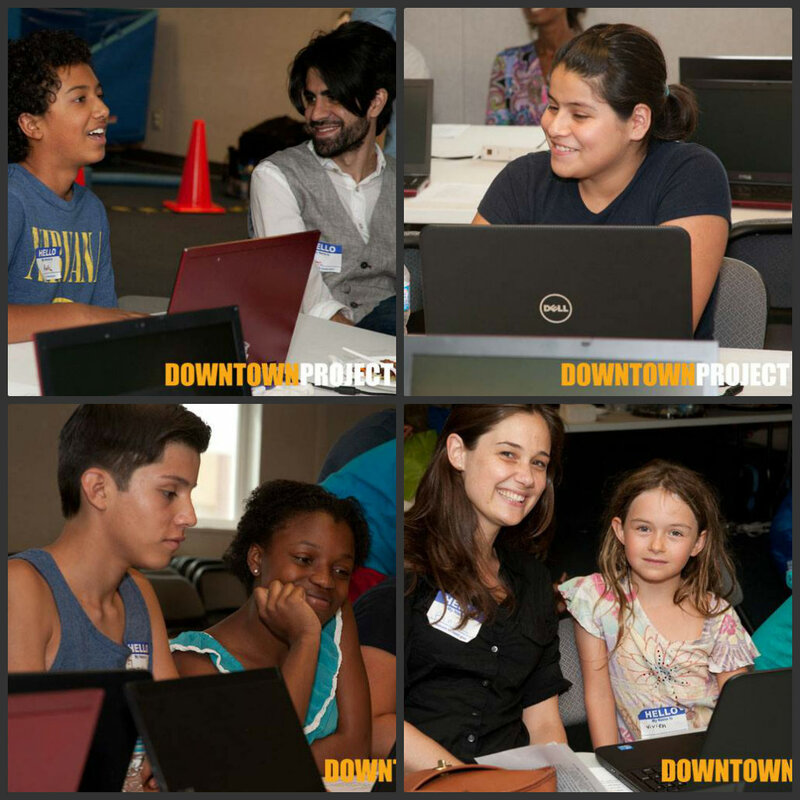 The Downtown Project is transforming Downtown Las Vegas into an urban, bustling, and community-based hub, and Crescent Solutions and CAA Foundation recently attended the project’s monthly Catalyst Week as part of its movement. It’s a TED style event (produced and curated by CatalystCreativ, a small business funded by the Downtown Project) where experts in industries from philanthropy to entertainment and technology exchange ideas and build partnerships. 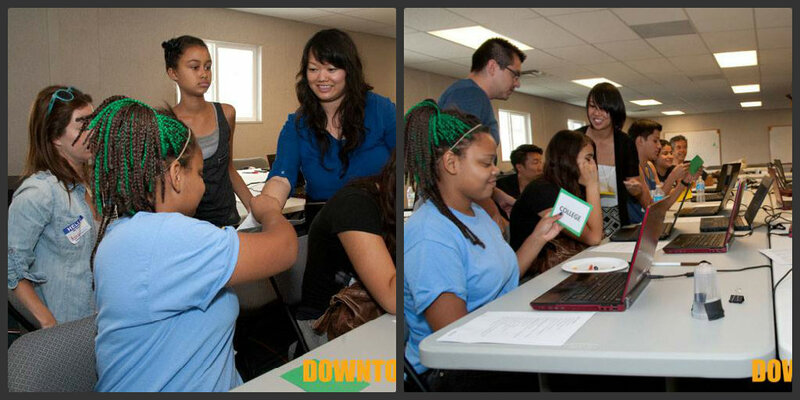 Stephanie Le and Jean Trinh of Crescent Solutions and Ivan Bermudez and Victor Banuelos of CAA gave students from the Las Vegas youth initiative, Batteries Included, a glimpse into their STEAM (Science Technology Engineering Arts and Mathematics) workshop. (Clockwise from top left) Tony Hsieh gives an inspirational talk to students; Ivan Bermudez kicks off the STEAM workshop; Stephanie Le, Ivan Bermudez, Victor Banuelos, and Jean Trinh take a tour of Zappos, and Blair Cobb speaks during the Catalyst Week talks. 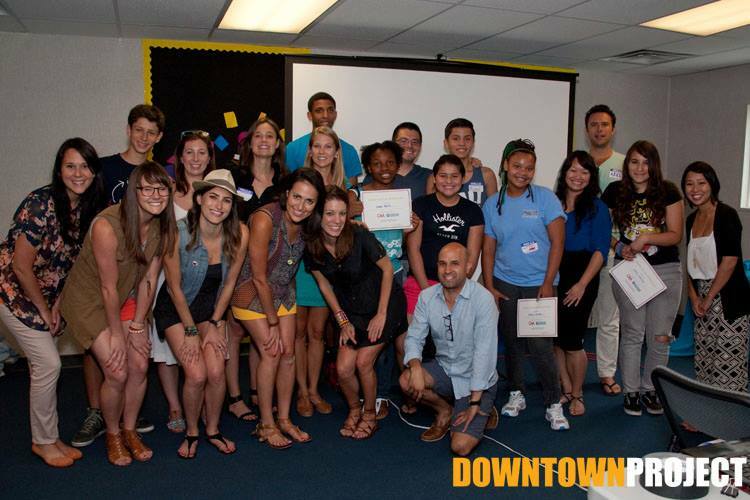 During the four-day event, participants in Catalyst Week were immersed in the Downtown Project—from exploring the town and seeing first-hand the growth and development of the community to touring the Zappos building and learning about its unique culture. Zappos’ founder Tony Hsieh is helming the project, which is investing $200 million in real estate development, $50 million in small businesses, $50 million in education, and $50 million in tech startups. 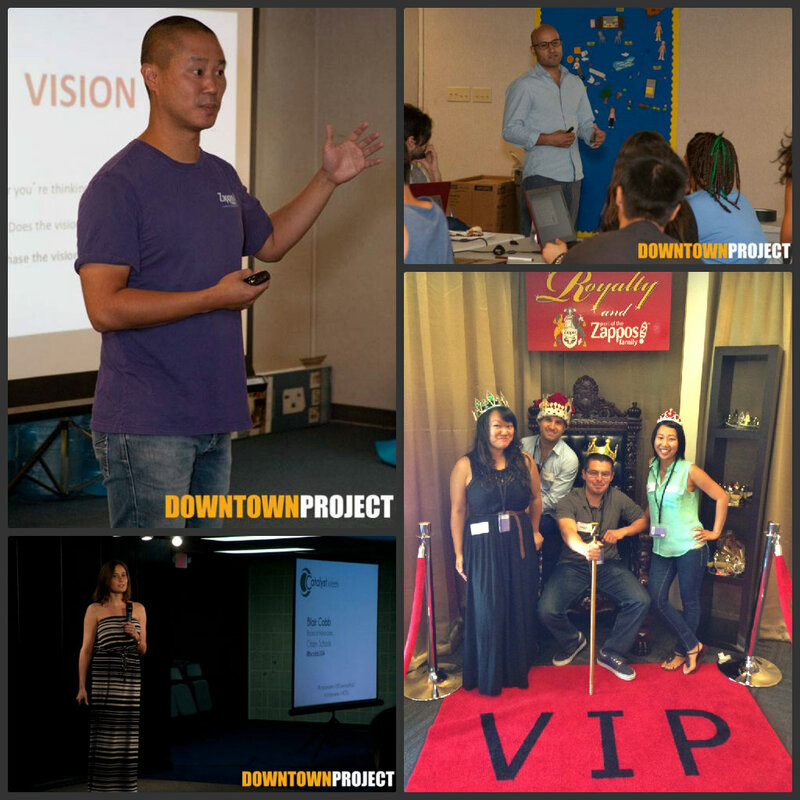 “Through the hosting and sponsorship of Downtown Speaker Series and events such as Catalyst Week, Downtown Project hopes to continue to help with accelerating collisions, community, and co-learning in Downtown Las Vegas,” said Hsieh. Numerous speakers contributed to the event, including Blair Cobb, who discussed her work with Citizen Schools and the need for afterschool educational programs, and John Greathouse of Rincon Venture Partners, who gave an inspirational talk on persistence. Catalyst Kids Day was an initiative focused on giving the local youth an inspirational and educational experience. The students mingled at a group breakfast with the Crescent Solutions and CAA Foundation teams, and were given a tour of the revitalization project as well as a moving speech from Hsieh. In the workshop, Bermudez talked to the students about his path to his current employment in technology and the concept of STEAM to the students. Le exposed them to different job opportunities in the technical field and led a game that showed the students the financial difference a college education makes. The hands-on portion of the workshop was led by Banuelos, who taught the students how to code HTML and create websites. Each student was equipped with a laptop, and Crescent Solutions, CAA Foundation, and adult participants in Catalyst Week helped the kids on their exercises. By the end of the workshop, students volunteered to proudly show their websites to the group—which included instructions on how to play basketball to making their favorite dishes.